Slow shutter speeds and seascapes go together like jam and peanut butter. Here's why and how to use them to your advantage. When photographers turn their attention to using lengthy shutter speeds at the coast, the sea takes on a silky, mist-like quality that meanders and contrasts against dark rocks and other strong static subjects found in the coastal landscape. These images are popular with landscape fans and with the right gear and a little bit of know-how, you too can capture these types of eye-catching imagery. Early morning is a time that's favoured by photographers and it's also the perfect time when trying to create this particular effect as lower light levels increase exposure times. The downside is that ideally, you do have to get up really early, we're talking before dawn, however if you have an ND filter in your bag, you don't have to worry about setting your alarm clock too early if you prefer later starts. For those who are wondering, an ND filter will stop as much light reaching your camera's sensor and as a result, increase your exposure times. This means you can use longer shutter speeds even at times when normally, you wouldn't be able to as your shots would turn out overexposed. ND filters are available in a variety of strengths and the stronger the filter, the longer your shutter speeds will be. Variable NDs are useful when you're not sure what strength you'll need but normally, exposure times of around 30 seconds or more will really blur the motion of the water. 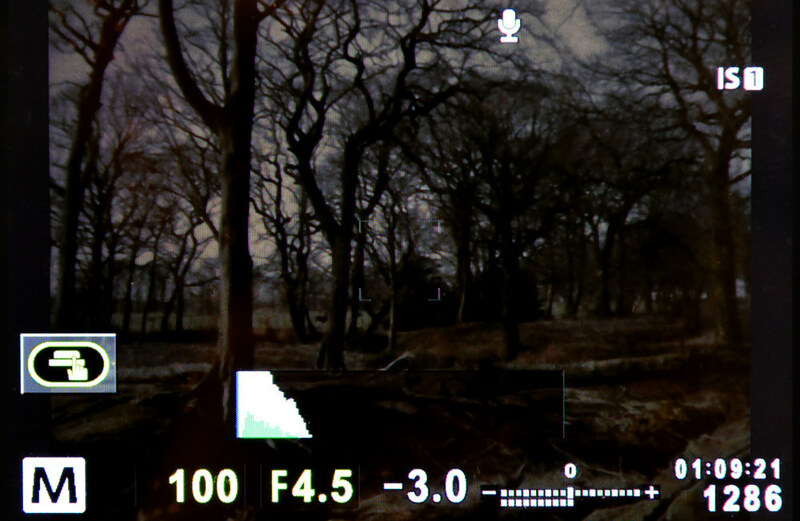 The problem with ND filters which have a greater density is they're very dark which can make it tricky to compose your shots through your viewfinder or when using LiveView but you can sort your settings and composition before fitting the filter under these circumstances. It's also worth noting that some cameras allow you to boost the image when using LiveView so it's worth checking your camera settings. LiveView without the filter in place. LiveView with the filter in place. Another filter you might find useful is an ND Grad for when the sky is appearing too bright when the land is correctly exposed for. By fitting one in front of your lens, the exposure will be balanced and the final image be closer to how the eye sees the real thing. Make sure you use a tripod as you'll just end up with shaky shots if you try to work without one when using longer shutter speeds. 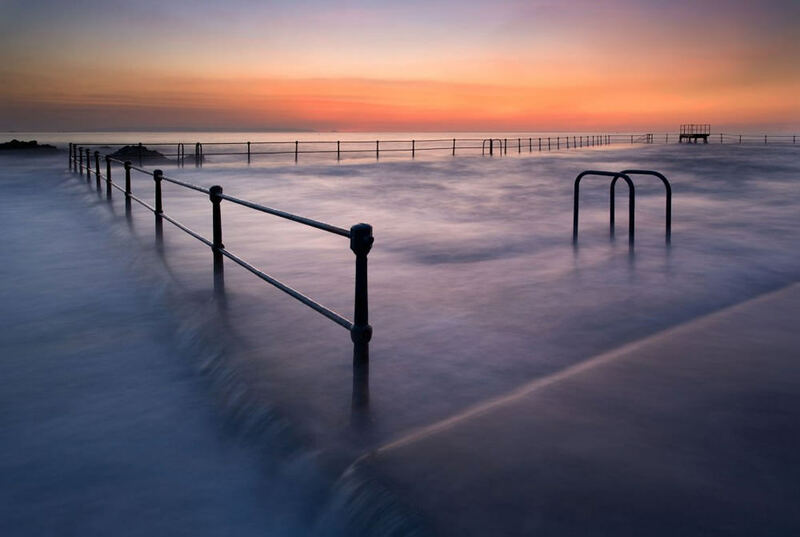 Plus, a tripod will help you ensure your horizon's straight along with your camera's grid or even a small spirit level fitted to your camera's hotshoe. A remote or cable release will minimise shake and if your camera has the feature, put LiveView into good use but do keep an eye on your battery levels as power will be depleted quickly and you don't want the battery to die half-way through your long exposure. Finally, pack a lens cloth to keep your lens / filter sea-spray free and always clean your equipment when back home. If you get the chance, scout a few locations out before you head off with your kit. 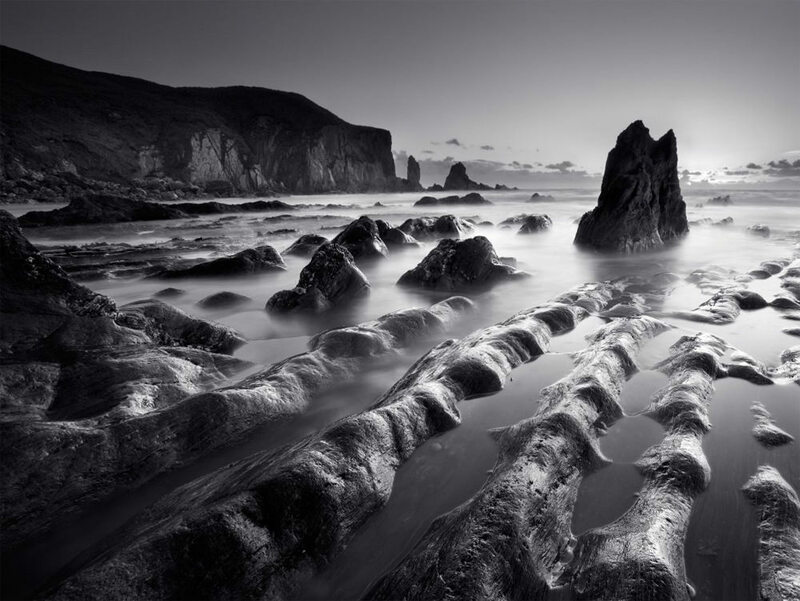 Obviously, you need to be along the shore but look out for locations where foreground detail such as rocks and driftwood will add interest to your image. Try using lower angles to exaggerate the size of rocks etc. sitting in your foreground and don't forget about your main focal point. You could even use foreground interest to guide the eye through the shot to the lighthouse, pier etc. Noting the tide times is not only important from a safety perspective but you also want the water level to be at the right point along the shore. Plus, if you can time your visit for when the tide's going out, the sand will still be damp and decorated with patterns created by the receding tide and rocks will have more definition thanks to the wet surface creating shine. If you don't mind a little trial and error, you can also use the line created by the sea as it moves back out to guide the eye to your main point of interest. Narrow apertures (try f/11 or f/16 and go from there) are what you're aiming for and stick to lower ISOs. Frame up and check your composition carefully, without the filter attached if it's particularly dense. Use the auto focus function to focus on your main focal point, although the low light levels can mean your lens keeps searching so you may need to use a torch to highlight part of the scene so it can focus on it. Once happy, lock your focus, making sure you don't knock the focusing ring on your lens in the process. Again, if you are working with a particularly dense filter, now's the time to take a test shot and check your histogram as well as the image on screen to ensure the exposure is correct (no blinking highlights or shadows). Make a note of the shutter speed and attach the filter. 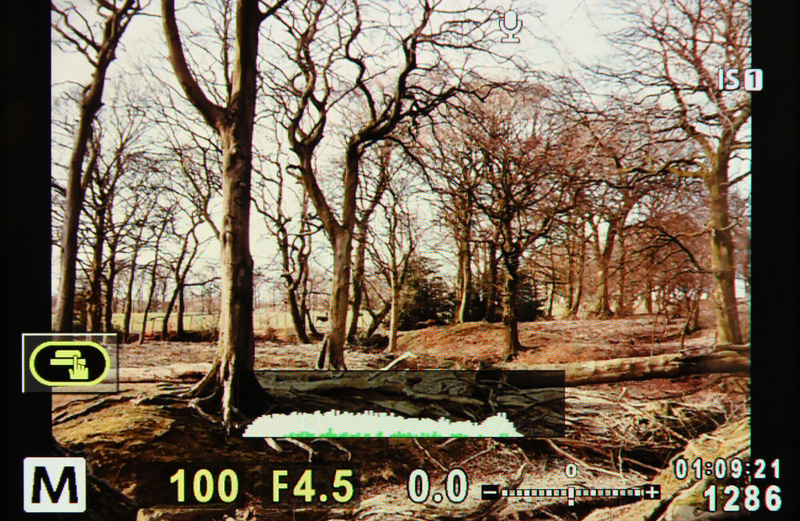 You then need to use this shutter speed to help you calculate the correct exposure length. Most filters come with an information chart / conversion table to help with this or you can download an app that'll provide the same information. If there's some of the scene visible when using LiveView it's worth just checking your composition once more before hitting your shutter release. You won't be able to make / see tiny adjustments but if something's not quite right with the overall composition, you should be able to adjust for it. If you find you need a shutter speed that's longer than the maximum shutter speed that your camera provides, use Bulb mode but make sure you have a remote / cable release to-hand so you don't introduce shake. If you're using a filter that's lighter (around 1-5EV stops) you should still be able to see the scene through the viewfinder or when using LiveView so you shouldn't have any problems working in aperture priority, focusing and composing your image with the filter fitted. If you don't get the results you want straight away, try decreasing the aperture further, use a denser ND filter or wait for slightly darker lighting conditions if you don't own another ND filter. If you don't own an ND filter at all, decrease the ISO (if possible), use an even smaller aperture and keep decreasing the shutter speed until you gain the correct exposure. Again, keep an eye on your histogram and be patient!